You gotta see Dr. Ed. You’ve heard it a millions times on the radio and now it’s time to stop in for your dental needs. We’re not your typical dentist’s office, and we pride ourselves in bringing the fun into dentistry. 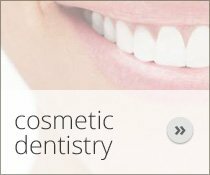 We practice a full scope of general dentistry with expertise in cosmetic dentistry, wisdom tooth removal, diagnosing and treating TMJ disorder as well as dental implant procedures. We’re your one-stop shop for dental treatment and do everything in the comfort of our office. No more going from place to place, we’re here for you in two locations Princeton and La Salle. People fear they can’t afford dental procedures and often wait until a problem gets bad before coming to us. We want our patients to feel comfortable about their choices. When you come to our office, we’ll be happy to do a complimentary benefits check. There is financing available, and we accept Visa, Mastercard, Discover, CareCredit and Springstone. Our trained staff would love to talk with you about what payment methods would be best for your situation. We will do whatever it takes to make sure you have a lifetime of smiles. Dr. Ed believes in gentle touch dentistry. He isn’t your typical dentist and doesn’t want your visit to just be enjoyable, but fun as well. Our office is filled with smiling faces and friendly conversation. Dr. Ed is one of the most knowledgeable professionals in the area, but isn’t afraid to crack a joke to make you feel at ease. We provide a caring and compassionate haven that you’ll love. Kids are especially fond of Dr. Ed and his wacky antics. While you are at A Lifetime of Smiles, we do offer complimentary water, tea and coffee, as well as free internet access to help you feel at home. Explore our site and learn about the services we offer. If you’re in the need of dental work, not job too big or too small, give us a call today. Your Lifetime of Smiles is just a click away! Dr. Ed is a full service dentist specializing in issues relating to the mouth, teeth and facial regions. 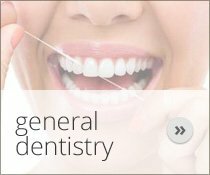 He provides a full scope of general dentistry with expertise in everything from cosmetic dentistry to wisdom teeth removal. 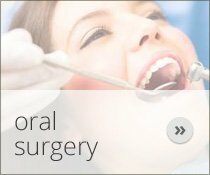 He can also diagnose and treat TMJ disorder and perform a full range of dental implant procedures. Gotham has Batman. Metropolis has Superman. Your teeth have Dr. Ed. Dr. Ed can provide everything needed for dental implants from start to finish. He does the surgery, initial tooth extractions and bone grafting, fits and makes the permanent prosthesis. Dr. Ed isn’t just a dental professional, but someone that cares about his patients, their wellbeing and their future. A Lifetime of Smiles serves La Salle, Peru, Oglesby, Utica, Princeton, Spring Valley and all of the Illinois Valley area since 1999.